Please note that this eBook may be distributed freely or may be sold for a small fee as long as the contents within is not changed or ownership is overwritten. We advise you to print this eBook out in its entirety to help you get the most from this information! This digital eBook is for informational purposes only. While every attempt has been made to verify the information provided in this report, neither the author, the publisher nor the marketer assume any responsibility for errors or omissions. Any slights of people or organizations are unintentional and the development of this eBook is bona fide. The producer and marketer have no intention whatsoever to convey any idea affecting the reputation of any person or business enterprise. The trademarks, screen-shots, website links, products and services mentioned in this eBook are copyrighted by their respective owners. This eBook has been distributed with the understanding that we are not engaged in rendering technical, legal, medical, accounting or other professional advice. We do not give any kind of guarantee about the accuracy of information provided. In no event will the author and/or marketer be liable for any direct, indirect, incidental, consequential or other loss or damage arising out of the use of the information in this document by any person, regardless of whether or not informed of the possibility of damages in advance. Thank you for your attention to this message. For many people, the term Web 2.0 is complicated. They fail to understand what this is and how it works. Many so-called experts have tried to give their long drawn out technical explanation of this type of web site. The problem, though, is that they use so much jargons and hard-to-understand technical mumbo jumbo that an average person won´t be able to comprehend and he/she will probably need a Rosetta stone to decipher what these experts are saying. One of the definitions that I came across when I first started looking into Web 2.0 was a term to characterize design patterns in which they called a constellation of a new generation of web applications. They went on to speak of infrastructures, and new and improved collaborations. The further I read on, more confused I became. The only thing that I was able to gather from the writer was Web 2.0 was a phrase coined by O´Reilly Media in 2004. Understanding who coined the phrase was not going to help me understand how this new generation of web applications was going to benefit me. The only way I figured I was going to learn what this was all about was to jump in headfirst and start using these sites to my advantage. With no real understanding of these sites´ true purpose and function, I was leery for some time. After utilizing different variations of Web 2.0 sites, I have now figured out what this is all about, once you remove the confusing tech talk. Is it not about time for the average person to understand what this concept is? Well, hold on because I am getting ready to explain this concept to you without using hard-to-understand technical terms. Web 2.0 websites are user-generated content sites. Visitors to the sites sign up and then start contributing their own content to the site. MySpace is a user-generated Web 2.0 social networking site. Users create their own profiles, add pictures, and upload videos and even music to the site. Social bookmarking sites such as Digg allow users to submit links to stories, videos and website that they like along with their own review of the pictures, videos and websites in general. Thus, the majority or whole content of these sites is that of contributions from users just like you. The way this concept differs from what we know about traditional sites or Web 1.0 sites is that the traditional sites are sites that are more static. In this, the webmaster generates all the content for the site and shares this content with you. You have no say in the content that is on this site, nor do you usually have a chance to leave your own opinion of what you have seen on the site. Now some traditional sites do have areas for comments but this should not be confused with the broad user-generated content sharing of a Web 2.0 website. Take the blog site Tblog.com for example; this site is a Web 2.0 blog that is comprised of thousands of users creating individual blogs on a variety of subjects. All the information you find on this site is user-contributed. The same concept applies with YouTube, which has tons of videos that you can watch. All of these videos are all user-contributed to add a lot of diverse content to the website. Now you can see in plain English a simpler explanation of what a Web 2.0 site is. Once you take all the technical talk and industry jargon out of the equation, everything starts to make sense. User- generated content sites means marketing potential for you. One of the rewards of Web 2.0 marketing is that it is virtually free to use. 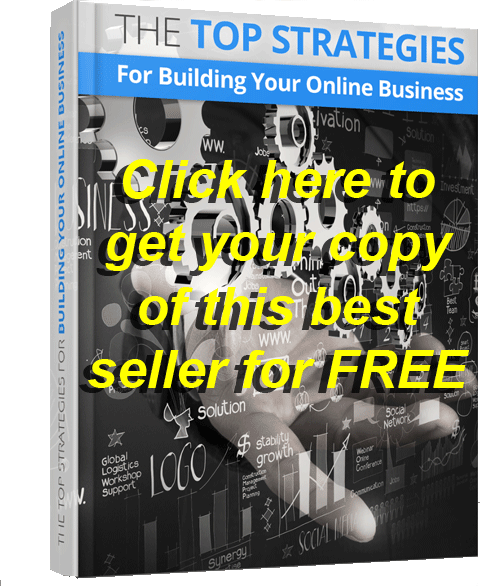 You will know how to successfully utilize these sites from this eBook. After all, I have already been down that road and went through my trials and errors on what marketing with Web 2.0 sites can and cannot do for you and your business. So read on and let me take some of the guesswork out of this for you. Once you have your website created, you are ready to launch it onto the World Wide Web. Now, you have a great website that is just sitting there in cyberspace with no one looking at it. This is probably not the plan you had envisioned when you created your website. If you are like any other webmaster, you are going to want to see a huge amount of traffic to your website. If you have a product or service to offer, then you are going to want to see a ratio of traffic that converts to sales. This is just not going to happen until you do something to drive that traffic to your waiting website. In the first chapter, I explained to you what the concept of Web 2.0 is. Now, I am going to discuss about site traffic and how to convert it into sales. So you are probably wondering what the correlation between the two is. One of the best ways to market your website is to utilize Web 2.0 websites. There are various types of Web 2.0 websites on the World Wide Web. Each different type of site has its own marketing potential for your website. The following will give a brief overview of the different types of Web 2.0 sites and how you can use them for some marketing potential. We will get into a more in-depth understanding on how to use them further in this eBook, but for right now it is important to give you an outline that you can see. This way you can start to visualize a little more on what you will be doing when using Web 2.0 sites to market your very own website. Blogs offer you a way to create teasers that make people interested in your website. Web 2.0 blogs are different from the traditional blogs. I will get into the details on that later. Right now, I want to give you an overview of what the blogs can do for you. Blogs allow you to add separate entries like an online diary for everyone to see. All you have to do is to create your entries to showcase your product or your service, and point them all back to your website. Your entries can showcase a product by talking about its features, how it is useful and why your readers would want it. If you are offering services, then talk about your service. Write about your experience in that field. Just make sure that no matter what your blog is about, you need to get their interest and you point them back to your website. Later on, I will show you how I have personally made blogs work for myself. Social networking sites such as MySpace allow you to create a company profile or, if you are an individual, a personal profile about yourself. It is so much easier to land that sale or gain a new client for your services if people can see you more than just a company. While your website may tell about you in a business sense, social networking sites can let potential customers and clients see a personal side of you. Networking can drive traffic to your website which will result to more sales. Social videos sites allow you to create and upload creative videos about your website or product to get more traffic to your website. These videos can be done in a variety of ways. The main point is to gain name recognition and product or service interest. With the ability for other users to leave comments, you will see how your video is being perceived by the public, which will help you in your marketing. Further on in this eBook, I will explain how to make this work for you as there are several ways that you can use social video submission sites. There are also different ways that you can create the videos. When it comes to trying to dominate the Web 2.0 market, social bookmarking sites is my personal favorite. It requires so little marketing effort on your part and yet yield a nice return. We all want something out of a little effort, which is just human nature. When you create an account on social bookmarking sites such Digg or StumbleUpon, you then have the freedom of bookmarking your website on their website. Once your website has been bookmarked, it is already there for everyone to see. It usually takes me about two minutes to sign in and bookmark a site on any of the social bookmarking sites. I put in very little effort, and yet the traffic I get from them has been fairly high. I will explain these as well later. As you can see with the above outline, the purpose is that it allows other users on the website to get to know you, your product or service with teasers or a personal bio. You do not want to give it all away on one of these sites, because if you do, that they will not have any reason to visit your main website. Build up some hype and such and get them drooling so that they move from the Web 2.0 site that you are using and on to your website. Your website is going to be where you close the deal, so make sure your website is designed that way. Social networking sites offer you a great way to get yourself known. Social networking sites allow you to create a profile and then connect with other users on the site. Most social networking sites also allow you to join group where you can meet other individuals who have the same interests as you do. The thing, though, is that you need to watch how you use a social networking site to promote your business, since you do not want to be seen as pushy. No one likes a pushy salesperson. There´s a hard sale and a soft sale. 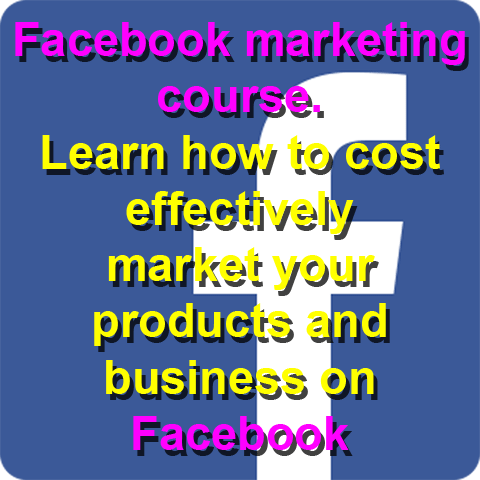 When using sites such as MySpace and Facebook, you may want to do so in a soft sale way. This means that you want them to know what you are offering without giving them a feeling like it is being shoved in their face. I will break down a few sections of the social networking site and show you how do a soft sale marketing style. This is your main area that you will want to do your product or service promotion. Remember that your website should have your business profile on it. With that in mind, you are going to make your profile on the social networking site a little more personal. Take advantage of the fact that this is an informal place so you are free to design it in any way you like. Fill in areas of personal information. MySpace allows you to put information about your favorite movies, music and interests. Those areas should be filled in to give people background about you. After all, we all feel more comfortable purchasing products and services from those we know. In a brick and mortar business, your customer comes in and you deal with them face to face. During the transaction, you and your customer talk and some personal information is shared. Take going to the furniture store as an example, you can relate to how the salesman will walk around with you, and during the process of showing you the furniture, some off-topic discussions may arise. Sharing personal information allows the salesman to create rapport with the customer, which builds a good consumer-salesman relationship. On the internet, we do not have the chance for some face-to-face sales and relationship building that we do in the brick and mortar business. Therefore, you need to take advantage of the chance you are given to let the potential customer see you not only as a businessman, but also as someone who is just like them. I use my profile on MySpace to promote my business. My main profile features a slide show of various pictures of my family and myself. These are just some random home shots with captions. I have some graphics on my profile that are fun and entertaining. I have even placed a radio feature on my profile that has about four songs loaded on it. This is my personal area on the internet and I use it in conjunction to promote my business. The informal layout and personal feel of my profile has driven a large amount of traffic to my website. As you can see, you are getting interactive with those who are visiting your profile while promoting your website where your potential customers can go to. You just have to put a link that they can click to direct them to your main website. This way, you will not look like you´re pushing them to take advantage of your service or product; instead you´re giving them an option to visit your website for more information about your business which is your way to soft sell. Most social networking sites have a group section where you can find groups with the same interests as you. The groups usually have the members´ main profile picture and name displayed for all group members to see, as well as a forum area for all group members to discuss things relevant to the group. This is a great way to make your profile work and start sending traffic to your website. The part that most people fail to realize when using groups to market their websites is to not spam the group forums. Many people join a group and then start putting links of their websites up in the group forum, hoping to drive more traffic to their websites. This is a bad marketing etiquette and this usually results to being banned from the group and your account with the social networking site also being shut down. This does not benefit you in any way and is the quickest way to lose credibility as a professional. So how do you use the group to drive traffic to your website? Well, that is simple, so let me explain how it works. You have already created a nice personal profile that does point toward your website. The purpose of the group is to network with other like-minded people and in return you can count on the fact that they will check your profile out. Once they have checked your profile out, the possibility that they would check your website is high, provided that you have placed a link they can click to direct them to your main website. Just take part in the discussions and leave the rest to your profile. You do not want to push your business too hard to the people in the group forums. Just socialize and the rest will fall into place. Check to see if the social network site you are using has a signature area for group forum postings. You can use the signature areas to place a piece of text linked to your business there, so that all of your postings are at least advertised in an appropriate way for your business. For the text, just put your business name and then link it to your website and you are done. Social networking sites such as MySpace have blogs that you can add to your profile. When you create your blog entries, the first few entries´ titles and a brief overview of your blog will be displayed on your profile page. This allows other users to find your blog entries easier. Depending on your business, there are several ways that you can utilize the blog that these social networking sites offer. For example, you are offering a service for custodial parents to collect on past due child support. You can use the blog to write your own mini articles that deal with child support and the effects of estranged parents from their children´s lives. This gives you the chance to offer useful and valuable information separate from your website so that your website is not overly cluttered up with tons of information. Show those in need of this service how you can help them after showing them why they need the help. Be factual and creative and always remember to direct them back to your website. For those that have products to sell, this is also a great place to showcase some of your products. Take the time to create some catchy entries about your products. Most social networking sites do not seem to have the ability to put pictures into your blog entry, so make sure that you entice the readers with the way you describe your product without using any pictures. Tell the people how that product in that entry post will benefit them. If you only have one product, do not worry, you can still pull this off without sounding repetitive. Let us look at green tea as the product you are selling. Now, you only have this one product but you are still going to utilize the blog to catch the interest of potential customers. Your first post should describe your product and indicate some of its benefits. After that, you can already post an entry containing more information about the product such as the price, sales rate and what the consumers say about the item. These would help your potential customer get well-informed about the product and would make them interested. Remember to point back to your website so that you can close the sale. Use words such as Click Here to Get Yours Now, Click Here to Learn More Click Here to Find Out if This is Right for you and so on and so forth. Just let them know where to click. If you are offering a service, you can post your business phone number at the bottom of each blog entry. Do not be afraid to get creative and get their attention. My blog is bright yellow in color with purple text. I had originally started out with a simple black with white text and then I moved to white with black text. I figured it looked more professional. Well, traffic coming from the on-site blog to my website was very minimal. When I punched it up a notch and went with bright yellow and purple, my traffic from there had increased. I got their attention and they clicked my link at the bottom of each entry. Remember to keep your blog updated to drive more readers to read your blogs and visit your site. Since most blogs have an entry date on them, even a new reader will go elsewhere if your entry dates are old. This is an important part of marketing with a blog, and if you cannot keep it fresh, then it won´t work for you. Your posts should not always be lengthy; in fact, it is better if you keep them short but precise. Before we move on to the next chapter and more information on maximizing your marketing with the Web 2.0 market, let us recap how to use social networking sites. First create a personal informal profile that shows a more personal side of you. Next, find groups that fit with your interests and join them. Do not spam, these are just ways to get yourself known without pushing your product or service. Lastly, utilize the on-site blogs to show case your products and service. Remember that social networking sites are just one form of the Web 2.0 market that you can use for marketing. There are many more Web 2.0 website types and I am going to show you throughout this eBook how to use them to your benefit. Facebook blogs are called notes and Tagged blogs are called journals. Netlog groups are called Clans. A lot of you will know what a blog is, while some of you are sitting there scratching your head wondering what I am talking about. So for those that still do not know what a blog is, I will give a brief explanation before moving on to the differences between traditional blogs and Web 2.0 blogs. A blog is basically an online journal that you can create and post entries. The difference is that, in most cases, a blog is open to the public so others can read what you have entered, whereas a journal or diary is a private book that you keep hidden. Traditional blogs and Web 2.0 blog sites differ in various ways. Traditional blogs allow you to create the blog and post the entries, but unless you market the blog no one is going to see it. Now, once the search engines pick up on it, you may see little traffic trickle into your blog, but not much. Therefore, you will need to do some major promoting to get people to your blog. Now with a Web 2.0 blog site, you can create your own blog and post your entries but people will see your blog entries as soon as you post and publish them. Web 2.0 blog sites are social sites that do a lot of the promoting or advertising. Other users or people surfing around on the site will see your blog entries and can visit your blog from there, or read just the individual entry that interests them. Most blog sites such as this allow you not only to place your blog in a category that fits the blog, but also allow you to place each entry into an appropriate category. I use Tblog for one of my marketing avenues with Web 2.0 blogs. I use them because they have a few features that quickly allow me to get my blog entries seen. First off, when I place a new blog entry in my blog, that entry automatically appears at the top of the list of other entries from other users under that category. Therefore, it is in a prime location to be seen. Also on the front page of Tblog is what they call a tblurt box. I can type in a tblurt telling other users that I have a new entry on my blog. This will appear on the front page for everyone to see. Both quickly allow me to drive users to my blog entry, and from there, try to get them to the website I am promoting in that entry. A good way to gain a little more traffic is to take the time to read other people´s blog entries and place an appropriate comment on their entry. Most blog authors will return the favor and go and look at your blog. I have converted traffic somewhat from this practice. In addition for effective marketing, you need to leave the comment section open on all of your entries on any of the social blog sites that you use. The comment section can give you an idea as to what marketing tactics are working and which ones are not. Feedback on these comments are one of the best ways to judge what consumers or potential clients are thinking about what you are offering. Most of these sites allow you to upload pictures and even videos to your blog. Upload some product pictures so that people can see what you are talking about. Remember to add some text into that entry as well. It has been proven that a picture entry with no information is not a good marketing style, and that won´t convert it into a sale. Do not forget to link that picture to your website so that anyone who clicks the picture will be taken to your website. It is preferable that you link a product picture directly to that product´s description page. For those who are offering a service, your posts do not have to always be just about what you are offering exactly. Let us use this as an example so that you understand what I am talking about. Say you are offering a service to custodial parents to help them get their past due child support from the non-custodial parent. Now you can post entries on the services that you offer and such, you should also post statistical entries as well. Do some research and post on the effects of failure to pay child support and the laws surrounding child support. Then remember to mention at the end how your company can help. ￼ surfers do not want to spend a lot of time on one particular video and will tend to leave before it ends if it is too long. Also make sure that your point is made during those five-minute periods. Do not leave the viewer at the end still trying to figure out what you were talking about. The same applies to text. You do not want a long drawn-out blog entry. The average internet surfer does not spend a lot of time reading one blog entry before moving on to something else. Therefore, it is imperative to get their attention and give them useful information to get them to your website without putting too much lengthy statements that will bore your readers. This is not a full scale on all the blogging sites out there. This, however, is a comparative list of some of the more popular blogging sites used. Social bookmarking sites allow you to create a profile then bookmark your favorite sites. These bookmarks will be shared with other users. When you bookmark a site, you will give a brief description and then pick a category and add keyword tags to your bookmark. These keyword tags allow your bookmarked site to show up when a user searches for sites using the matching keyword. This is the basic explanation of social bookmarking. I prefer to use simple explanations over tech talk explanations to help people understand the Web 2.0 market. Bookmarking your website and your blogs enhances your marketing potential. You will need to pick the appropriate category, give a short and direct-to-the-point description of the bookmarked site and then pick the appropriate keywords to tag your bookmark with. spam and is very unprofessional. So stick with social bookmarking sites that offer the theme or category of your website. Keywords should cover what you are bookmarking. 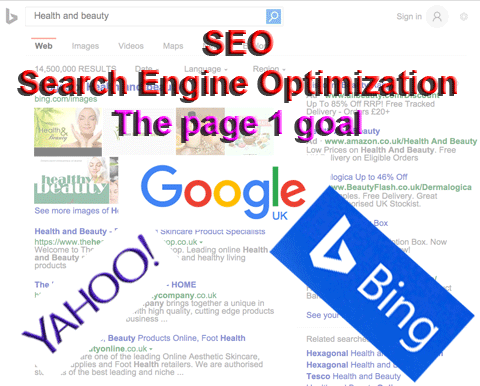 Use as many keywords as possible that are relevant to your website or blog. Your account can be terminated by some sites if you are loading your bookmarks with a lot of irrelevant keywords. Do not be afraid to use both singular and plural forms of words or variations of words for your keywords. In addition to creating a profile, some bookmarking sites require that you download an application that will run in your browser bar. The purpose of this is that when you are on a website and you wish to bookmark it all you have to do is click on their icon in your browser bar and you will be able to bookmark that site. Not all bookmarking sites will require this. Most bookmarking sites offer you a feature so that you can place their buttons on your website so that your website visitors can bookmark your site themselves. Now while you are going to bookmark your site yourself, it is still a benefit to have these buttons on your site. Your site visitors who wish to bookmark your site will click one of these buttons and discover that it has already been bookmarked, now they have the option of voting on it. Since they were going to bookmark it themselves, the chances are they will go ahead and take the time to vote it up. This means that you are moving up in the ranks with no extra work on your part. To increase your review on these social bookmarking sites, you should also bookmark other quality websites or articles that you find on the internet. Now, you are probably wondering why I am telling you to bookmark other people´s sites. The reason is that if you are seen as a contributor who contributes quality bookmarks, then other bookmarks you are promoting yourself will also get good reviews. Therefore, bookmark things that are informative and useful so you will gain a reputation and thus increase your own traffic. Some social bookmarking sites will terminate your account if they feel you are spamming their site with your own promotions. You need to understand that a lot of traffic can be built as a result of bookmarking your website on one of these social bookmarking sites. Digg is one of them. If your content is good, other users will digg and that will give you high rankings. As you rise up, you will be hit with more and more traffic to your website, therefore, make sure you have a server that can handle this possible traffic overload. This does not happen to everyone, but there is still a chance that users on the social bookmarking site will love your content, thus, increasing your traffic. ￼ will have a better chance of getting known and rising in the ranks on these social bookmarking sites. This is all needed to see the huge amount of traffic that these sites are capable of delivering to your website. Videos are a great way to market a product or service. Your social networking profiles also should not be cluttered with too many videos. You can change your videos out to showcase different products. To be able to have every video you created viewable to the public, you will want to utilize a social video submission site such as YouTube. A great point with video submission sites is that users are allowed to post comments on the videos that are on the site. These comments are a great way to find out how the public is viewing your videos. 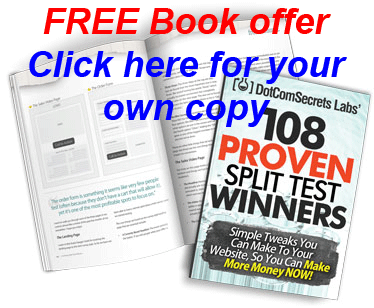 You get a free trial and error marketing testing by just using the site to air your videos. Remove the videos that do not seem to appeal to the public and replace it with a different video. Watch your comment section to see again how this new video is fairing with the users. website traffic. There are keys to creating a successful video, because if your video bombs out, then your traffic and sales are sure to bomb out as well. First you need to decide upon the transition of the video and how it should go and have a clear outline. You do not want to start shooting your video and winging it as you go along. Take the time to put together a clear outline to use during the shooting of your video to avoid repetitive and unnecessary shoots. Remember that internet users do not want to spend forever in one spot, so keep your video short. A web video should be no longer than 5 minutes. So realize that you only have 5 minutes to get your point across. The previous point leads to the next point I am going to make. You need to make sure that by the end of your video, the viewer knows just what you are trying to convey. They should not be left at the end wondering what your video was about. Make sure to place your website link at the end of your video. You can also place a text over the video of your web address, as well as throughout the video. For those that have a company phone number make sure to place that on your video as well. Mention your company name or your product during the video to drive business name recognition. You need to make sure that the video that you created is not seen as annoying. Make sure that your videos are informative and are worth watching. After all, if your video is annoying, the viewer will move on to someone else´s videos. Now that I have given you some of the outlines for making a good video, let us talk about equipment. You do not need a high tech video recorder; in fact you can make your videos using an average web cam. You will see a lot of decent videos on YouTube and other video submission sites that are created using just a simple web cam. A web cam and a microphone will allow you to create your videos without spending a lot on more expensive equipment. Another great thing with videos is that you really do not even have to have a video recorder or a camcorder. You can create your videos using still pictures. Windows Movie Maker allows you to use still pictures to create videos with voice over. Therefore, you will need a microphone for the voice over. Alternatively, find the free to use music and use it over the still pictures and add some decent text throughout your video. Windows Movie Maker is great for creating videos with still pictures to the point that even a beginner can create some great videos. I used it when I was first starting with still pictures as videos and was able to turn out some great marketing videos. I had seen other users on YouTube featuring videos that were comprised of still pictures and decided to give it a shot. I found that they did work fairly well at driving some traffic to my sites. The pictures that you use can be obtained on the internet from free stock picture sites. All you need to do is grab some relevant pictures and put them in the order that you wish them to run through the video and use the Movie Maker to add some text and incorporate your voice-over or the music that you choose. Just remember that you should be working toward name recognition, your video should be short and to the point and your web address should be located at least at the end of the video. You want the viewer to know what it is that you are talking about and who you are, as well as how to purchase your product or service. Therefore, make sure this is all covered in your video. You will be able to add keyword tags to your video so that it is easy for others to find. Make sure that your keywords are relevant and concise. Use as many keywords as you can, so singular and plural forms of a word work, as well as variations of the word. These are just as important as your video itself, so make sure to take the time to give your videos adequate keywords. Unknown No limit 8 Min. Break.com is geared more toward men ages 18-34. There are so many information booklets out there on how to become a power seller on eBay. The basic information that you need to know to become a power seller is offering what people want and getting your listings seen. The getting seen part is the hard part. The reason why it is hard is that most people sell on eBay to make money, and to get quality listings they have to pay the fees to eBay. These fees cut into your profits more than some are willing to pay. So how does one go about driving traffic to their listings if they do not want to pay the fees to get the quality listings? Easy, all you have to do is utilize Web 2.0 sites as your marketing frontier. There are several ways that you can get your listing seen on different types of Web 2.0 sites. In this chapter, I am going to show you the different ways that you can put these different types of social sites to work for you. Depending on what it is that you are selling and how involved you are in eBay, will determine which of these sites are best for you. I will break them all down for you. explained earlier in this eBook. The difference is that you will be trying to build up the hype of the auction as well as the product you are auctioning. This way will not only drive people to your listing but get them to start bidding. Auctions are the same as selling a product; it is all a numbers game. So build the hype up for both, that way you get them interested in competing in an auction-bidding. You will need to go in and edit your blog entries as well. Your readers are not going to stick around long if they are clicking link after link to closed auctions. Therefore, take the time to go in, edit each closed auction entry, and update it to allow your readers to know which auctions are open and which auctions have closed. Some eBay sellers have their own storefronts on eBay. If you are one of them, blog about it and place a link on your blog that goes directly to your storefront. Do you have some buy-it-now items in addition to your auction listings? Make separate postings for those and build up some great hype over them being available for a low buy-it-now price. With these sites, you can utilize many of the features to gain attention to your eBay listings. Use your profile to mention that you are an eBay seller. Place a link on your profile to your listings page. If you have a storefront on eBay place a link for that on there. MySpace has a bulletin section that allows you to place a bulletin that will show up on all your friends´ home page. Take the time to create a bulletin for your eBay listings. Make sure that you place a link to the listing within the bulletin. ￼Pictures speak a thousand words so do not be afraid to place pictures of your products up in your photo albums for currently open auctions. If you have more than one picture for a product that you are auctioning, then consider creating an album for each product and placing just that product image in its own album and name the album accordingly. Most social networking sites can be used, as I mentioned above. What you can do here is to point your blog readers on the social networking sites to your photo albums so that they can see pictures of the products. They are more likely to visit your eBay listing if they can see pictures of the product and see that it is something that they want. While this type of site would normally be a great way to market your product, service or website, I do not recommend using it for eBay auctions. The reason is that you will spend time putting together a killer advertising video only to remove it because the auction has ended. Therefore, it is best to stick with other means of advertising for eBay auctions. On the other hand, there are some exceptions to this way of thinking. While I do not recommend video advertising on sites such as YouTube and all the lesser-known video submission sites for eBay auctions, I do think those that have an eBay storefront could benefit. Since your eBay storefront will not be changing as often as your auction listings, your videos will have more of a shelf life. This longer shelf life will allow them to be of some benefit to you, as they will attract attention for your eBay storefront. It was hard for the aspiring musical artists to break into the music industry. Getting seen by the public and landing a record deal was a tough competition among musicians. After many years of struggling to be noticed by the public, the internet with the help of Website 2.0 social sites, musicians got to show what they´ve got, and getting discovered has now become relatively easier. If you are a musical artist and if you have been living with this dilemma, to be known and be noticed by the public and land a very promising contract, now is the time to start marketing yourself and your music. This chapter is dedicated to you and will show you just how you can get the recognition that you want and deserve. Social networking sites are a great place to start getting yourself seen. Take the time to set up a profile in social networking sites as many as you can. MySpace seems to be the biggest hit amongst the social networking sites for musicians to show off their talent. Not only you can create a musician profile, but also a fan page. MySpace has been the leading and most popular social networking site for creating a fan page profile. Take the time to check out other musicians´ profiles so that you can see what is working for them and start incorporating these tactics into your own profile. It is always best to go with what is working and what is hot and not try to reinvent the wheel so to speak. This does not mean though that your profile has to look like theirs, your profile should be personalized and has a touch of something that shows your interests, talent and all that to create a good connection with the people who are to view your page. Create audio and even videos for your music and place them on these social networking sites. This allows people to hear your music and helps to gain followers. Your videos do not have to be dynamic but the sound should be of high quality. Your videos can be done with a web cam just showing you or the band performing the songs. When you have any live performances in some local venues, take the time to put together a bulletin which MySpace also offers. This bulletin will go out to anyone who is on your friends list. It helps you advertise your performance and drive more people to go to watch it. Utilize the onsite blogs on social networking sites as well as. You can blog about your passion for music, the inspiration behind a certain song, up coming live performances, etc. Place pictures of you/the band on your blogs. When using a social blog site, check to see if they allow video and audio files and place these on your blog as well. Video submission sites such as YouTube are another great way to get your videos out in front of the public. Again, your videos can be simple as long as the sound quality is good. You want people to hear how great you are and gain loyal followers. At the end of your video, place a link, back to your main social networking profile. In a previous chapter, I spoke about video submissions and gave a guideline to create a successful video. One of the guidelines that I gave was that a video should not be more than five minutes long. This is the exception to that rule. Music videos can be a slightly longer than five minutes long. If your song is say five minutes and 45 seconds long, then make sure to have a video of that length. The five-minute rule is for product, service and website marketing; it does not apply to music videos. If you have merchandise that you created yourself like Café press, then place the link at the end of your music video. This will help gain exposure for your merchandise and increase your sales. Your own personal merchandise can help to gain you even more recognition as an artist. You do not have to limit the link to your merchandise page to just the videos on a video submission site, you can have it at the end of videos you place on social networking sites and your blogs. Create profiles on all the social networking sites, social blog sites and video submission sites if you can. Different people use different sites and by using as many as you can, you are increasing the number of people who will view your content. This gains you ultimate exposure using the Web 2.0 market. Creating a podcast is another way that you can reach your targeted audience. The actual creation of the podcast can be done either by creating the podcast yourself or by using a point and click service. While podcast can be created as paid subscriptions, you will want to offer yours free since this is another marketing venue for you. We have all seen the home shopping network on television that offers products on their show. With a podcast, you can do your own home shopping show offering your products for sale. Just remember to point your viewers to your website to make their purchases. For those that are offering a service, then consider doing your own podcast info shows. During your shows, talk about topics that can be tied with your service and throughout your podcast, show reference to your business and the services that you offer. Musicians utilize podcast as well as for sending out podcast shows. Interview with the band shows, up coming events notifications and such can all be added for podcast shows that will help market your music. The more you market your music and yourself as a musician, the more recognition you get from the public. Being known is what it is all about in this game. Podcasts do not have to be video shows with audio. They can just have audio or even images. It works the same as videos but with a podcast your shows can be watched or listened to portable devices such as the Apple Ipod. It also allows a large targeted audience to have access to your advertisement shows. Viewers can subscribe to your shows and this will allow for any new shows that you create to be sent directly to their portable device. This one has to be the most user-friendly point and click service around. So much is offered to ensure that your podcast show is pulled off without a hitch. There is a step-by-step tutorial that walks you through everything, from start to finish and even a teleprompter is there to ensure you remember what to say and when to say it. You cannot get much simpler than that when dealing with creating your own show. Gcast.com This one allows you to create a podcast from start to finish in an easy to understand format. For those who wish to add some music to their shows, this service has a collection that you can use without fear of copyright infringement lawsuits on your hands. In addition to all of this, you can even record your podcast toll-free over your phone if you wish. This works great for those that do not have a microphone for their computers. All your management tools for creating a podcast are located directly on this services website. This one is just as user-friendly as the other two services. With this service, your podcast shows are published in the Clickcaster directory. This makes it easy for other users to find your podcasts. While there are other point and click services out there, these are the ones I found to be the most user-friendly. When you want to market your product, service or website without spending forever doing so, then you need a service that can have you up and going in the shortest amount of time. These services I mentioned can do just that. If you are not seeing the results you were expecting from using podcasts for marketing, then consider changing things around. Search out the most popular podcasts that are marketing a product, service or website and see what they are doing. Try practicing their techniques and add them in with your personality and see how it works!